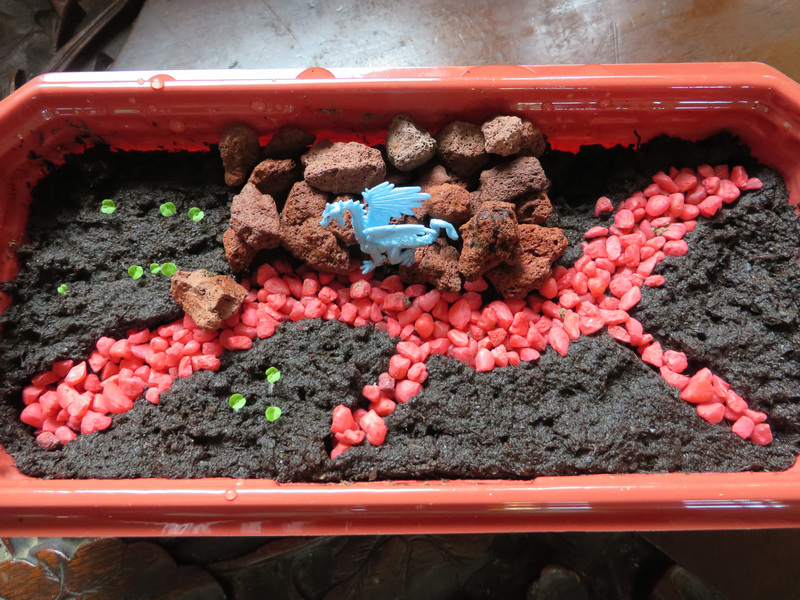 A few of months ago I posted a couple of blogs about a plant kit I bought called Dragon’s Lair. It came with a cute container and seeds to grow Dragon trees and Black Dragon Coleus. 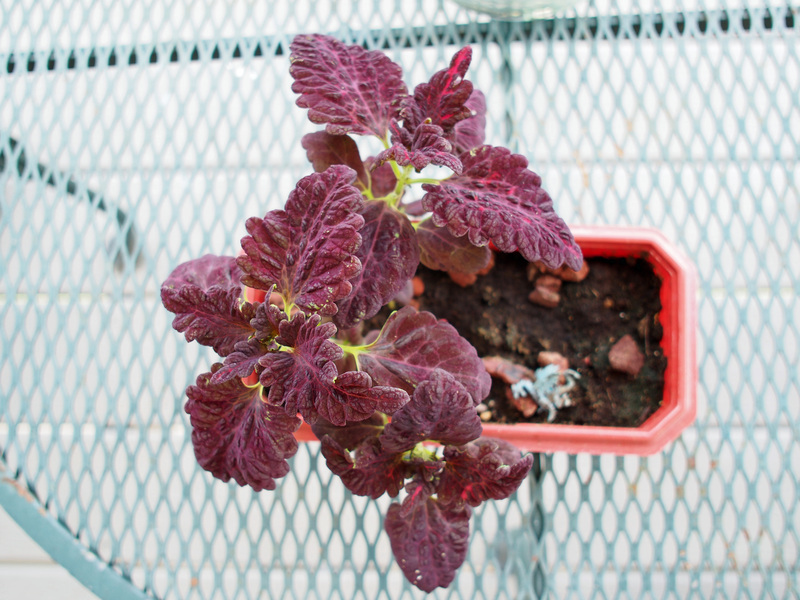 The last post showed the coleus sprouting nicely. Unfortunately I do not get enough sun in my house and I set them on the porch and forgot to bring them in. Being summer, they promptly died. The Dragon tree which is a Dracaena of some sort never sprouted. The package said it may take up to twenty days. I replanted the coleus and the Dracaena and the coleus came up quickly. They were looking good and once again I set them on the porch with good intentions. The thunder storm that blew through had other ideas and the poor little seedlings were scattered about. The Dragon tree seeds showed no indication that they were even thinking of sprouting. I think they may have been bad seeds. So, I ordered Black Dragon Coleus seeds. Planted them in seed trays and grew them in the potting shed. These came up beautifully. I put the little seedlings in the container and soon realized they would quickly out grow it. 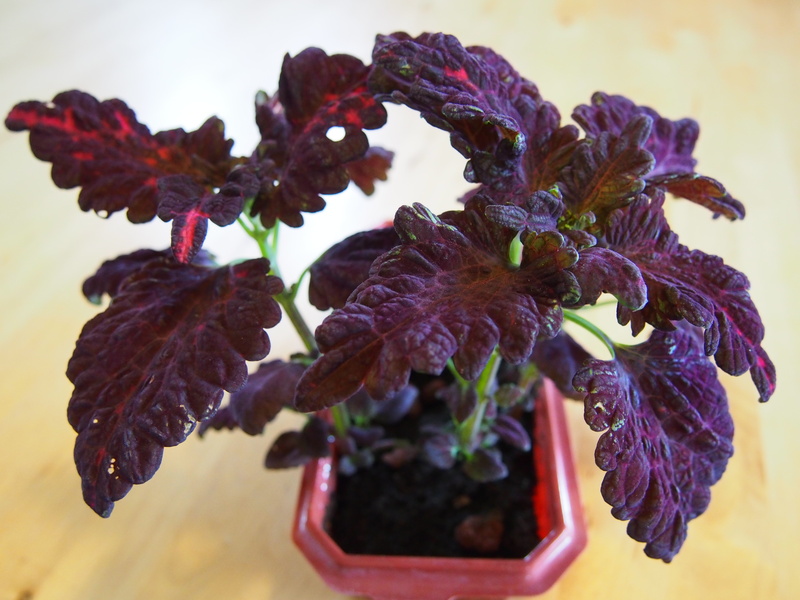 Black Dragon Coleus. Third times a charm. 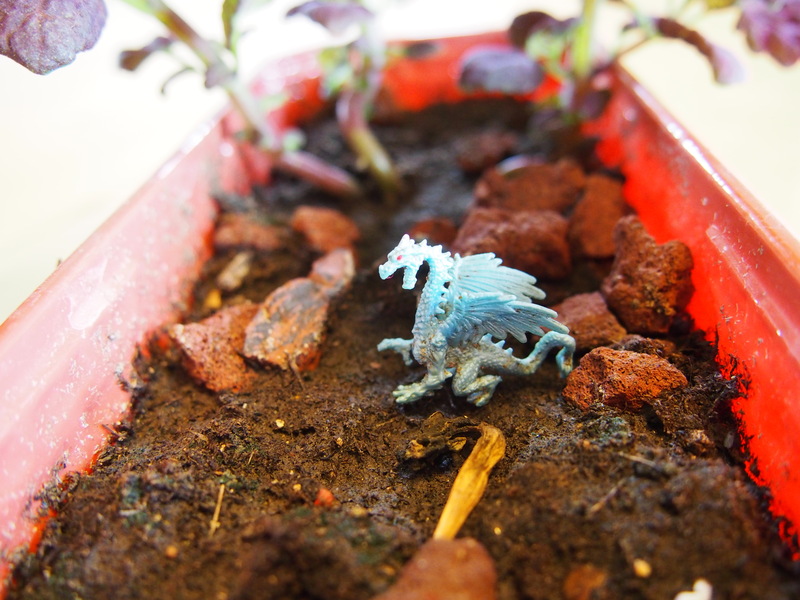 Poor little dragon has lost a lot of his cave in the storm. Eventually I had to re-pot the plants into a larger container. The dragon now has his lair, even though it wasn’t exactly the one we were aiming for. ← Wildlife troughs and a photobombing hummingbird.